Since the turn of the twentieth century, telecommunications has shifted from traditional voice transport to data transport, although digitized voice is still a large contributor. Instead of an evolution of existing transport standards, a revolution was necessary in order to enable additional data--related transport. 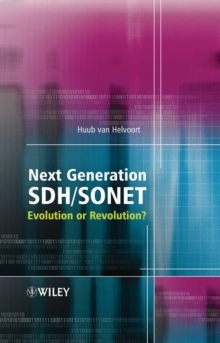 Next Generation SDH/SONET provides a detailed description of the enablers of efficient data transport over any synchronous network. These include virtual concatenation (VCAT), the operation to provide more granularity, and the link capacity adjustment scheme (LCAS), an extension of VCAT that provides more flexibility. Equally, generic framing procedure (GFP), the methodology that efficiently transports asynchronous, or variable bit--rate data signals over a synchronous or constant bit--rate, is explored in detail. 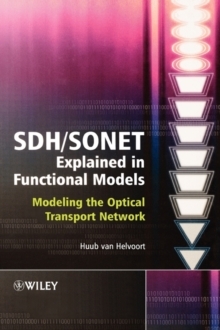 Describes new extensions to SDH/SONET standards to provide more granularity and flexibility in their structures, enabling the efficient transport of data--related signals such as Ethernet and FICON Presents comprehensive sections on the implementation of multi--service transport platforms (MSTP) enabled by VCAT, LCAS and GFP Provides valuable advice on how to exploit existing networks to create or extend LANs towards metro (MAN) or wide (WAN) area networks and also to support storage area (SAN) networks This volume will appeal to manufacturers, engineers and all those involved in developing and deploying SDH, SONET and OTN technology. 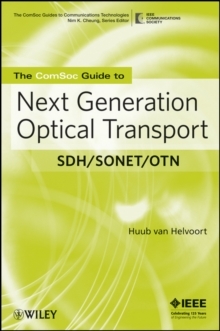 It will also be an invaluable resource for postgraduate students on network communications courses.